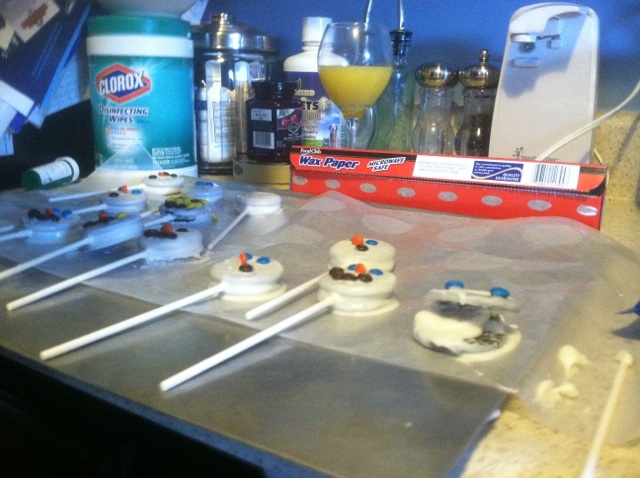 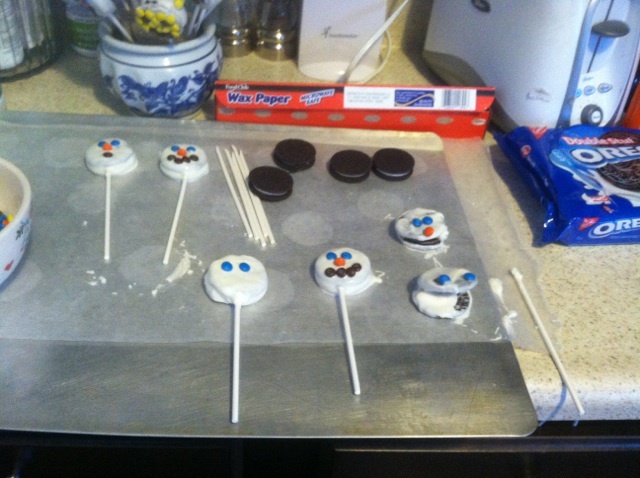 For today's Thing-a-Day Thing I helped make some Snowman Oreo Pops! 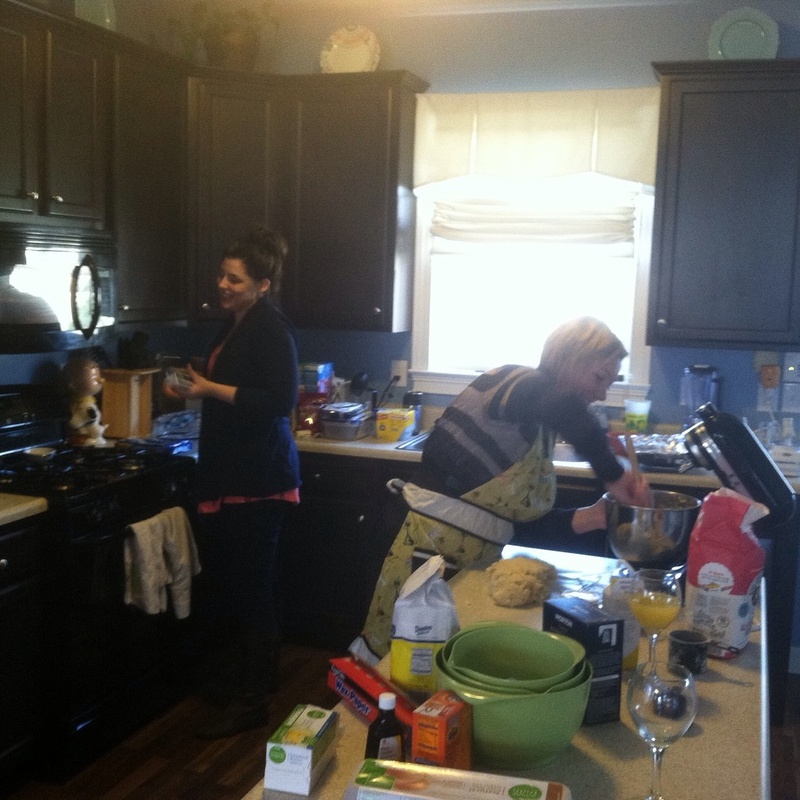 It was a full day of baking Christmas treats with Princess Melawesome and our friend Erin! 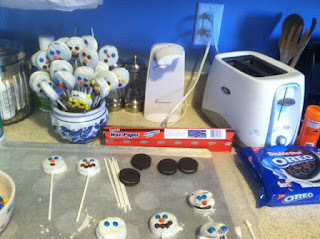 We made lots of things like Chex Mix, scones, cookies, etc. 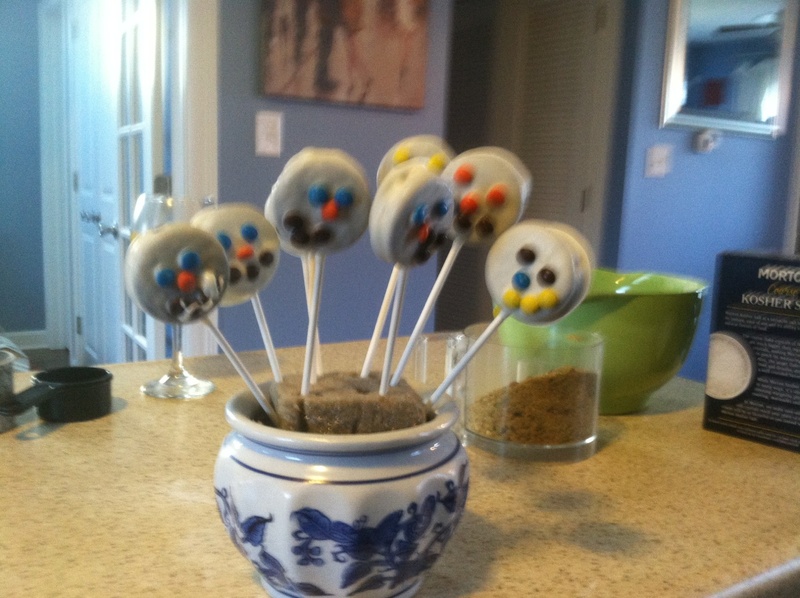 But the most Thing-a-Day worthy Thing was the Snowman Oreo Pops! 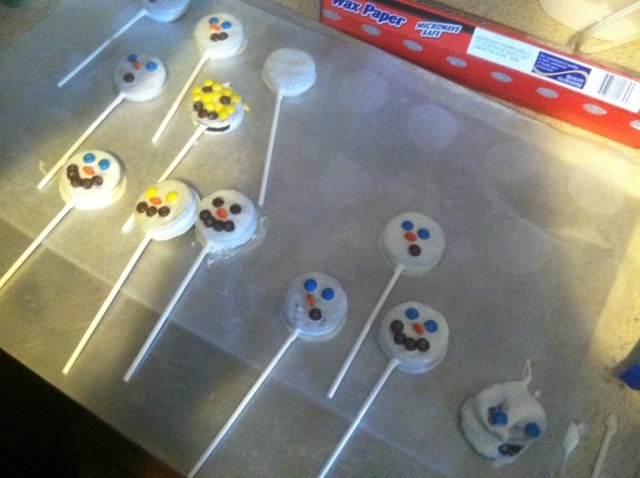 A couple of them fell apart. We stuck them back together and they ended up looking like Cookie Monster and Grover! 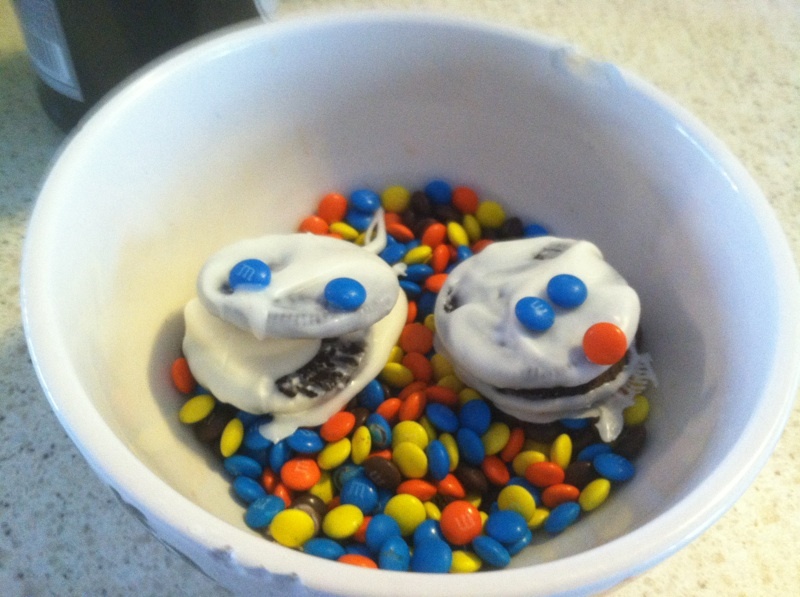 They were my two favorites. We've already eaten them both.